I was really excited and intrigued to learn how sushi can be beautifully made into different patterns and shapes. So I bought 'Kawaii Deco Sushi' written by Little Miss Bento, Shirley Wong from Popular bookstore for reference and keepsake. I tried one of the bee sushi - one of the easiest as she stated in her book that the difficult level was 1 of 4. Instead of using rice to make the wings, I replaced it with crabsticks. Also I did not follow the exact weight of the rice used. I just stuffed till it filled up the gaps. 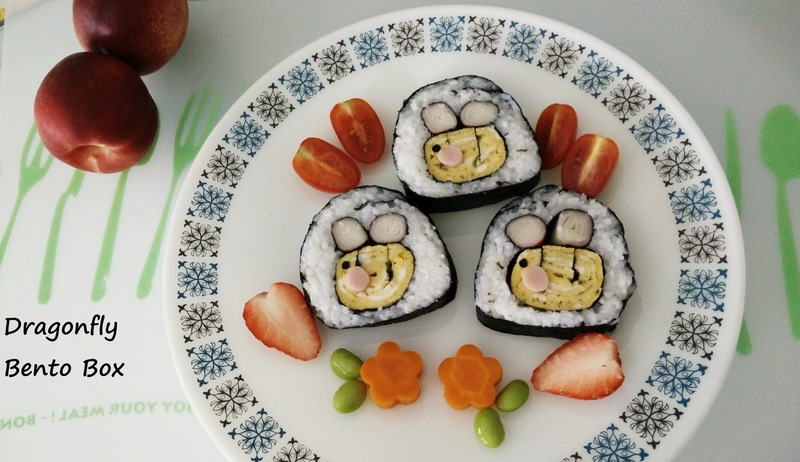 I was happy with my bee sushi even though it was not as neat as hers. But it certainly looked better than my first attempt previously. 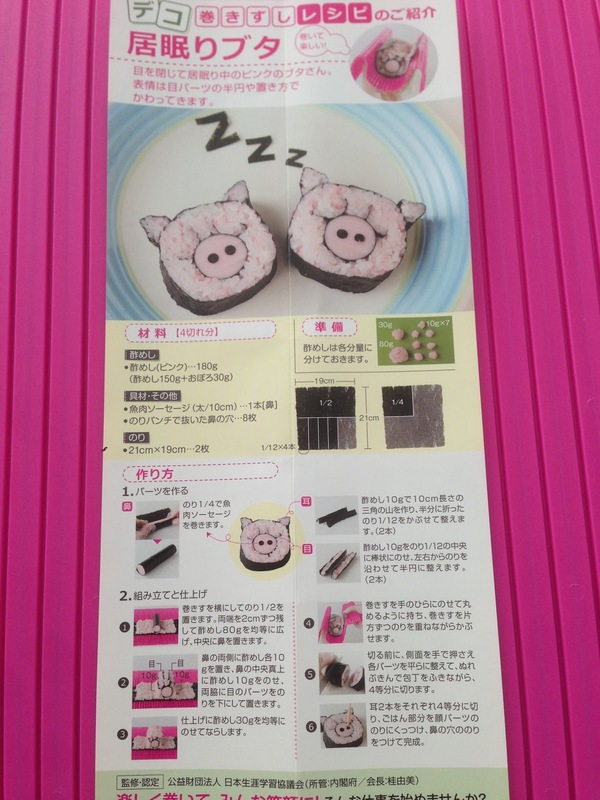 My first attempt was a sleepy piggy sushi which I followed the instructions on the leaflet that came together with the sushi mat I bought from Tokyo. It was a disaster. Piggy face was squashed! I was quite discouraged and for a long time did not want to attempt another one till yesterday. 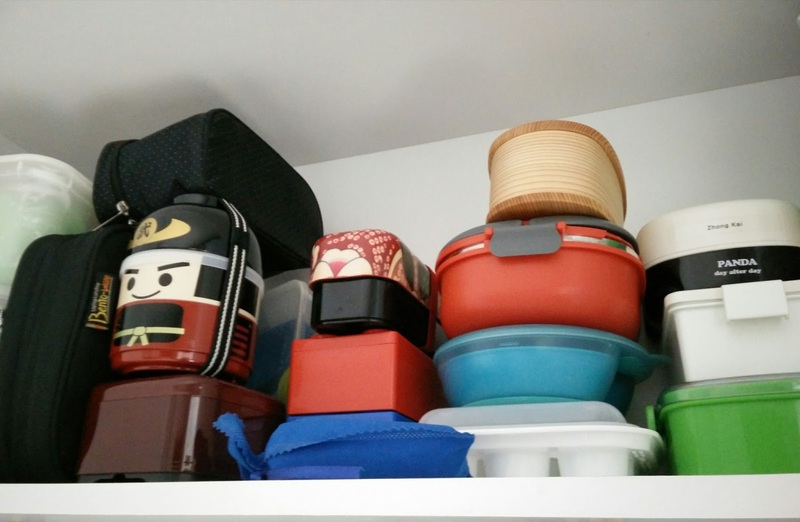 I began my spring cleaning in the kitchen cabinets for the Chinese New Year in the beginning of the month. Here's a peek at my bento boxes that I stashed in my kitchen cupboards ;) Still more cleaning to be done...... Well, I normally could not finish all it every year..haha.